With Our 120-Day Guarantee, Risk is No Longer an Option! Ready for a Property Management? Ready to rent your property? There are a few things besides actually renting the property that all homeowners must know. We offer simple, upfront and fixed pricing with no hidden or junk fees. No matter the size or property value, our pricing remains the same. 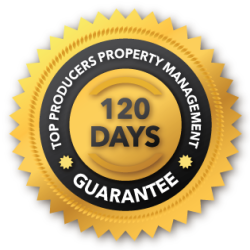 All of our programs provide a 120-Day Guarantee at no additional cost. We have to prove ourselves everyday to retain your trust. We’ve built a solid foundation and reputation within the Phoenix Valley community by treating all parties with respect and focusing on customer satisfaction. We’re an affordably priced property manager with exceptional service. We can help with your property management needs across the Valley, in Glendale, Peoria, Surprise, Scottsdale, and other Arizona towns. We also offer provide services to help locate qualified local tenants, including the creation and execution of lease contracts. We can turn over the monthly management to you, forgoing the monthly management fee. We want you to have the flexibility to decide on the best services for your needs. Our online rent collection service provide all parties with a simple and efficient way to manage rent payment and collection. We use the latest in property management technology to help the process run as smoothly as possible. Finally, no-hassle pricing and cost structure is really revolutionizing how Arizona property management companies operate their business in the Phoenix Valley market. See for yourself: our no-hassle pricing packages are affordable and simple. That’s property management with Top Producers! © Top Producers Property Management. All RIghts Reserved.